On the last day of 2017, Rajinikanth, 67, had declared in Chennai that he would form a new party and would contest all 234 seats in Tamil Nadu in the next assembly elections in 2021. Kamal Haasan had announced his political ambitions in November. 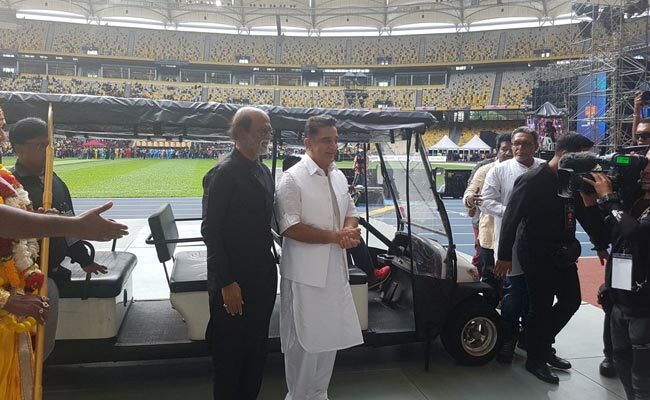 In scenes that appeared straight out of a Tamil blockbuster, superstars Rajinikanth and Kamal Haasan flew in together to the national stadium in Malaysian capital Kuala Lumpur in a chopper on Saturday. The occasion - a grand fund-raiser featuring around 250 members, including actors, from the Tamil film industry. It was nothing short of a casting coup; the two met for the first time since announcing their plans to enter active politics. On the last day of 2017, Rajinikanth, 67, had declared in Chennai that he would form a new party and would contest all 234 seats in Tamil Nadu in the next assembly elections in 2021. Kamal Haasan had announced his political ambitions in November. 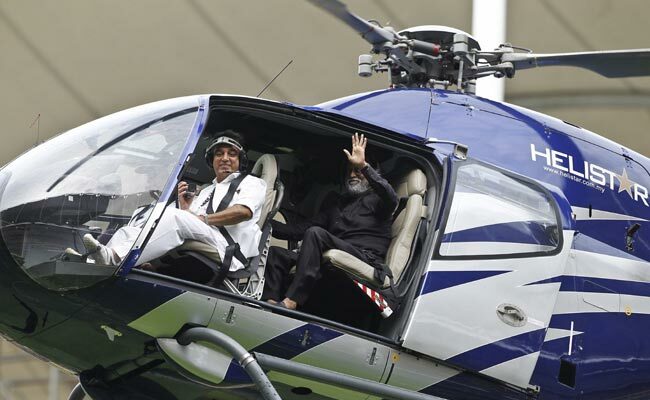 As the two giants of Tamil cinema alighted from the chopper, the drama was unmistakable - Rajinikanth, dressed in all black, while Kamal Hassan, in stark contrast, chose white. Interestingly, Kamal Haasan often played the hero while Rajinikanth was the anti-hero in many films that the two acted in together since the 80s. The air was friendly and cordial, as always. Rajinikanth even offered Kamal Haasan a hair brush to set right the latter's wind-blown hair. Kamal Haasan politely declined, preferring to use his hands instead to style his hair. Pictures of Superstar Rajinikanth and Kamal Haasan together, dressed in Black and White. Images of the two superstars smiling and chatting are hugely symbolic. On December 31, when Rajinikanth made the grand announcement, Kamal Haasan congratulated him on his political plunge. "I greet Rajini's social concern and political debut. Welcome welcome," read his tweet. While there has been intense speculation over whether the two will work together or support each other, both have, so far, indicated that they will go it alone. Rajinikanth's supporters believe that his political plunge would change the dynamics in the state that has, for decades, seen only two big players, the DMK and the AIADMK. The BJP, which has no more than a toehold in the state's politics, has been hoping to piggyback on to win over Tamil Nadu. Kamal Haasan, who has been challenging the ruling AIADMK for months over its performance, has asked his supporters to tweet examples of corruption in the state and is expected to launch a whistle-blower app this month. His frequent allegations of corruption drew the wrath of the ministers of the ruling party.